I’m exhibiting at Llantarnam Grange Arts Centre, in a show called On My Mother’s Knee, opening later this month. I’ve created a new series especially for this show called Tool Shed. I’ll also be showing these two aprons. The exhibition catalogue is available online. When I was approached for this show in February this year, I had to confess that I didn’t learn sewing at my mother’s knee. I learned at my stepmother’s elbow as a teenager, after spending my formative pre-school years doing carpentry with my dad as well as plenty of other crafts with other members of my family. Nor are the works I’m showing traditionally domestic – or at least not traditionally feminine. My new work is inspired by my late grandad’s tool shed and uses his well-worn handkerchiefs as the main cloth. I had an idea to use the family hoard of well-used domestic linens in some way and this exhibition fitted in perfectly. I’m also taking part in an artists In Conversation event on Saturday 23rd November at Llantarnam, alongside the awesome stitch talent Caren Garfen. 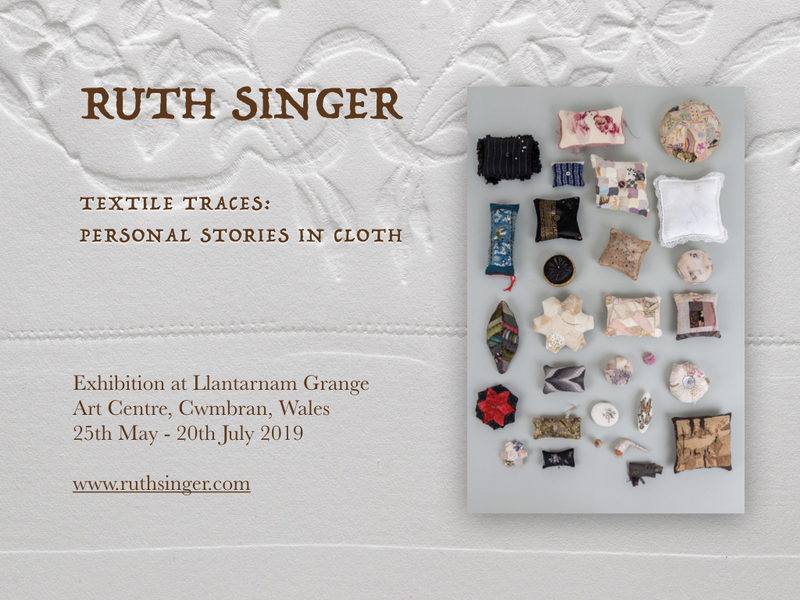 The exhibition also includes my friend Louise Frances Evans who has been a great inspiration for me, the fabulously fun crochet of Kate Jenkins, the amazing Julie Arkell, Kirsty Anderson, Lynn Setterington and Jessie Chorley. What amazing company!